Here’s a stat that will blow your mind: the average woman will use 10,000 tampons over the course of her lifetime. Ten. Thousand. 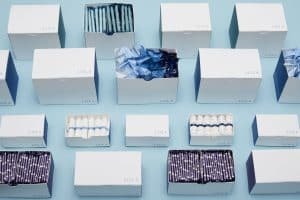 If you’re like many of us, the first thousand of these 10,000 tampons you’re on track to use were nabbed directly from your mom or sister’s stash. The brand? Whatever pink box was on sale (sidenote: why was the box always pink?). We never really stopped to think about what tampons were made of — they look like cotton, so they must be just cotton, right? Well… not exactly. I was set up with my now co-founder Jordana by a mutual friend who had a hunch we’d be fast friends. Over drinks, Jordana asked me a question I’d never thought to ask myself before: “have you ever wondered about what’s in your tampons?” (I hadn’t.) But once I started questioning the ingredients in this product I’d used month after month for over a decade, I couldn’t get the thought out of my head, and it turns out I couldn’t find a good answer, either. If you look at the side of a box of tampons, you’ll see a little blurb that says the tampons “may contain” a list of different materials which usually includes rayon, polyester, or fragrance. Why are the labels so vague? The FDA, the government agency that regulates feminine care, classifies tampons as a “medical device”, a slush-bucket category of products ranging from electric wheelchairs to condoms. The FDA doesn’t require tampon companies to provide a complete list of ingredients and additives that go into making these products, so many don’t. So, if there were more ingredients than what’s listed on the side of the box, we’d really have no way to know. Admittedly, it was kind of crazy that we never really thought about the ingredients of a product that goes into our vaginas, which we’ve since learned is the most absorptive part of of a woman’s body. 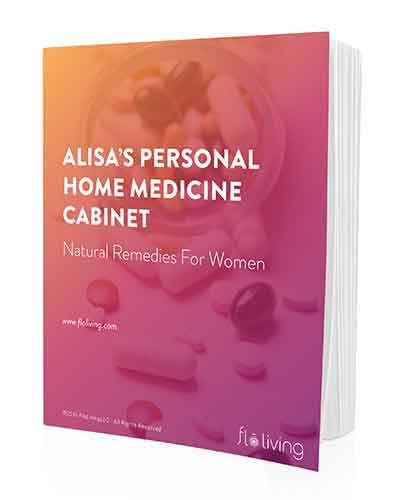 We paid close attention to the ingredients in everything else we were putting in or on our bodies… but why not feminine care? This led us to wonder, have other women thought about what’s in their feminine care products? Do they care? Together Jordana and I spent months asking women if they knew what was in their tampons, and, like us, most women hadn’t given it any thought. But, once they did and found out that there hasn’t been much, if any, clinical research into the long-term safety of the synthetic materials and additives in tampons, all of them cared. We — and the women we talked to — noticed that we care quite a bit about using all-natural products when it comes to our beauty and food choices, and it makes sense we should carry over this discernment when it comes to our feminine care, too. In the absence of hard research or long term clinical studies on synthetics, we’d always prefer a natural product with known ingredients. So, we decided to create a better feminine care brand. Enter, LOLA. Many tampon manufacturers opt for synthetic materials because they’re cheaper and more readily available. Our tampons only have one ingredient: 100% organic cotton. Full stop. Being informed about the materials in tampons wasn’t enough for us — we also wanted to update the experience of buying these products to make it more convenient. It seemed like we never had tampons on hand when we needed them, forcing us to trudge down to the corner bodega to buy a box of whatever they had on hand. Why was it that in New York City — a city where you can get anything delivered — women couldn’t get tampons in the same way? We decided to fix that. With LOLA, you can customize your box to have the exact number of light, regular, super, and super+ tampons you need and get them delivered to your door exactly when you need them. Want a box once a month? We’ve got you covered. Want two boxes every other month instead? No problem. Need pads and liners, too? We got you! It’s time to demand more from our products, and here at LOLA we are making it our mission to lead the way. We’ll always be transparent about what goes into our tampons, no matter if you’re using one for the first time or the 10,000th. Alex is Co-Founder at LOLA and spends most of her time focused on growth, brand development, customer experience and team-building. She is a native New Yorker, adventurous eater, and recently celebrated the 19th anniversary of her first period. Love Lola!! I’ve been using these tampons for about 6 months now. Shipments are always on time. Product works beautifully. I’m one happy lady.